Tom Hooper hasn't wasted any time following his breakout hit The King's Speech. Instead of retiring on his bed of money and accolades, the Oscar winning director has chosen to jump straight into his most ambitious project yet. While this is hardly the first time that celebrated Victor Hugo novel Les Misérables has been adapted for the big screen (most recently in a 1998 version starring Liam Neeson and Geoffrey Rush), never before has anyone tackled the stage musical itself. Musicals are often difficult to adapt to film owing to the contrasting sensibilities of the different media. This is even more the case with Les Misérables' sprawling, epic narrative and its tendency towards melodrama. It's a tough ask for any director, let alone one whose career has largely been built around a single movie. Fortunately while the production of this film is far from flawless, there is still plenty for long time fans of Les Misérables and of musicals in general to celebrate. Without wasting too much time on plot details with which most people are probably at least a little bit familiar, Les Misérables tells the redemptive story of ex-convict Jean Valjean set against the backdrop of French working class suffering circa early 19th Century. As an adaption, this is pretty faithful to the source material. Only a few of the songs are curtailed or modified, and numerous details from the book have even been worked in that are ordinarily not featured in the musical. More interesting is the inclusion of an all new song, "Suddenly". On the surface it might appear a slightly cynical attempt to increase the volume of Oscar opportunities to include best original song, but it does serve a purpose of fleshing out a plot point from the book that is largely skimmed over in the regular musical production. In a way this film is less an adaption of the musical or the book as much its own beast, taking elements from both and inventing entirely new material that takes advantage of the inherent qualities of cinema, adding elements to the production that would not be possible on stage or page. Where this film shines most of all is in the actors' performances. Two Oscar nominations for acting seems a certainty, and three or four entirely plausible. Of greatest interest will be Anne Hathaway as the tragic Fantine. Pre-release opinion seemed to be largely divided on this casting, but anyone who is familiar with Hathaway's work will already know that she is an astounding singer. I am pleased to say that in this role she has also delivered by far her best acting performance, tender but powerful. Her rendition of "I Dreamed a Dream" is indeed an actor's dream come true; filmed in a single take focused almost entirely on her face, it allows Hathaway to really show off what she can do. Arguably the high point of the entire film. Hugh Jackman will also rightly earn plaudits for his Jean Valjean. On the back of a wildly successful stint on Broadway but lacking in true "triple A" cinema kudos, Jackman was another uncertain but ultimately inspired casting decision. Valjean has been dramatised by fine actors like Liam Neeson and sung by legendary stage performers like Colm Wilkinson (who has a small cameo role as the Bishop of Digne), but Jackman's ability to combine the subtlety of dramatic performance with his considerable vocal skills make this a complete portrayal unlike any other. The other lead is Russell Crowe as police inspector Javert, Valjean's nemesis. This was the casting decision that worried me most of all, and it must be said it is the weak spot of an otherwise stellar ensemble. Don't get me wrong, Crowe is a fantastic actor, and at his best moments he brings real gravitas to the role, particularly in his key confrontations with Valjean. That said the role does appear a little miscast, with Valjean supposed to be the more physically intimidating of the two, something which is clearly not the case here. There is also real issue with his singing. Russell Crowe can sing, and does so in fact in a band back in Australia. Unfortunately being a decent singer does not make you suited to singing in a musical and Crowe's voice often sounds bland, lacking the dramatic vocal qualities that one would get from a seasoned stage performer. However, my personal highlights among the excellent performances belongs to Sacha Baron Cohen and Helena Bonham Carter as the morally bereft Thénardiers. I've never seen these roles, particularly that of the innkeeper himself, played so humorously through ad-libbing and creative delivery with such great effect. This is an example of pitch perfect casting, with Baron Cohen seemingly born for this role. Finally a shout out to fellow Etonian Eddie Redmayne who continues to go from strength to strength, and embraces what could be a massive moment for his career. It's a fact that the two romantic characters Marius and Cosette also typically happen to be the least interesting characters in the story, but here Redmayne injects some much needed spark into his portrayal of Marius and makes him all the more sympathetic for it. Ultimately what holds the film back from greatness is the filmmaking itself. I enjoy Tom Hooper's movies, but none of them have made me sit back and marvel at his directing ability. Hooper has been fortunate to work on some extraordinary projects and handled them ably, but does anyone really think that without Colin Firth he would have won that best director Oscar? The trouble is that a project this ambitious needs more than just a capable director, it needs a world class one, and Tom Hooper has yet to reach that level. At its finer moments Les Misérables glows with memorable cinematography; in particular the visually stunning opening scene that starts the film off with a bang. Indeed many of Hooper's artistic decisions, such as the oft mooted "live singing"and certains specific camera shots like the I Dreamed a Dream and On My Own sequences, are brilliant. Unfortunately for much of the film the camera usage detracts from the production as a whole. Hooper's obsession with relentless close-up camera shots goes far beyond the one or two set pieces where it actually works. It can be very disorienting and often takes the audience away from the setting. More than that it's monotonous. Each song has a different feeling and a different energy level; some are introspective lullabies, and others are grand, powerful anthems. Every song has a different level of scale, a different level of intimacy. So it makes no sense for every single one to be filmed in this close and personal style, there is too often a fundamental discord between what the viewer is seeing and what he is hearing. In addition there are pacing problems in certain scenes, a perfect example being the early scene with Valjean and the Bishop of digne. It's an absolutely pivotal scene in the story of Les Misérables, and yet it's brushed over at a ridiculous speed. It's one thing if you're like me and you know the scene off by heart, but newbies may be at a loss as to what exactly is happening. 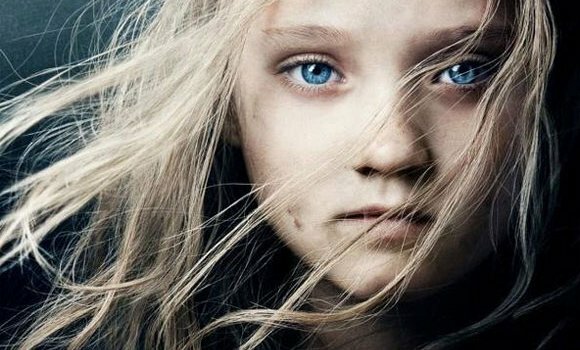 Despite its flaws, Les Misérables is still a fine film that will rightly be talked about when awards season rolls around. The performances are great, the production values top notch and the end result is one of the most emotionally powerful films in years. At the same time with weak direction and some uneven pacing, one can't help but see this as a missed opportunity for something truly spectacular.